What Will Porsche Call The 911 Turbo Once All 911s Are Turbocharged? They definitely can't get away with calling it the super duper 911 Turbo. 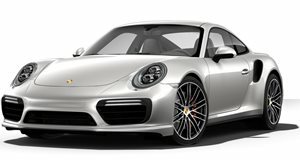 Since 1975, the Porsche 911 Turbo has been causing hell and it’ll continue to do so for many years to come. Some will always consider it the quintessential daily supercar. 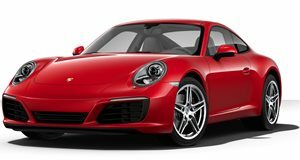 But something fresh is currently cooking at Porsche HQ in Stuttgart, Germany: a new lineup of turbocharged flat six engines. As we reported yesterday, the end of the naturally aspirated Porsche flat six will soon be upon us. 911 purists are going bonkers (not in a good way) at this very moment. The upcoming 911 GT3 RS will feature this new engine, likely a 4.0-liter unit, in NA form. But it will come turbocharged with the rest of the future 911 lineup. So the question now is whether the 911 Turbo can continue to have that name when all 911s will be turbocharged. Suggestions anyone?